At last, after centuries of plotting and scheming, the Holy Grail lies within the reach of the vampire Montrovant - or does it? Montrovant has survived the catastrophic fall of the Knights Templars, defeated his supernatural enemy, the guardian Santos, and pursued the remnants of the Order of the Bitter Ashes to their mountain lair in the French Alps, where they have secured their amazing and powerful treasures. Power undreamed-of waits there for Montrovant, for him to stretch out his hand and take it at last. But perhaps the matter is not so simple after all. For there are others who haunt the shadows behind Montrovant - an undead vampire hunter unleashed by the Church, another vampire who survived his destruction at Montrovant's hands and is now bent on revenge, and the ancient and ever-enigmatic Kli Kodesh. What is to be the fate of the Grail? 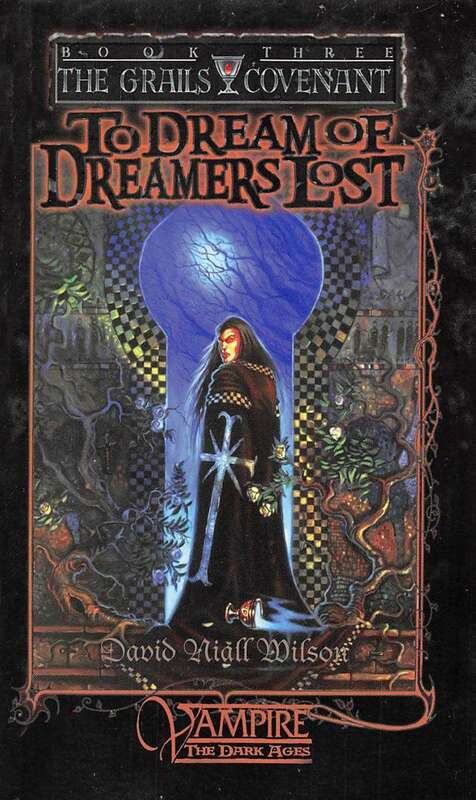 To Dream of Dreamers Lost is the third and final volume of The Grails Covenant trilogy. Be sure to catch the continuation of many of these characters and plot threads in the modern vampire series, The Trilogy of the Blood Curse, by Gherbod Fleming.